Launched in 2014 and headquartered in Tel Aviv, Israel, Lucky Streak is the latest live casino software provider that offers an enthralling live casino experience from its studios in Riga, Latvia. 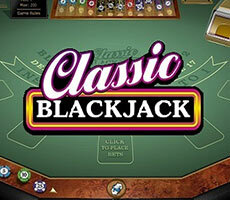 It offers live casino games which can be accessed instantly, anywhere, anytime. To know more details about its offerings, read on until the end. The developers at Lucky Streak sure know how to impress their customers. As soon as you load a live casino game such as Blackjack, Baccarat or Roulette, you will notice that the games are streamed from studios that are elegantly set up. Not only can you play your game in a luxurious environment, you also have the option to see other live tables through the video streaming. There is a faint tune that accompanies each wager and win. There is adequate lighting on each table and the live feed of the table is transmitted using several cameras. The overall environment is dark and classy. It really makes for a great live casino gaming setup. Lucky Streak, being a new entrant in the casino software industry, and therefore are putting more effort in producing quality of the games that they provide. It specialises in offering live casino games that are streamed with great quality of live feed. 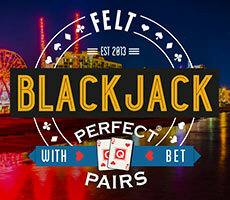 The games on offer are Live Blackjack, Live Baccarat and Live Roulette. These come with rich features and an interactive, intuitive gameplay. Apart from Live Casino Games, the developer also offers slots, table games, and video poker within its portfolio. Lucky Streak Live Casino games are packed with innovative and unique features. Their dealers have the option to chat with the players during the gameplay which makes this close to a real casino experience. Their interface is smart enough to analyse your bandwidth and choose the video quality accordingly. It also lets you change the video quality if you need to. 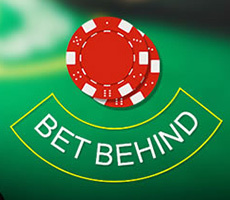 Another unique feature Lucky Streak offer is the option to tip the dealers during the gameplay. 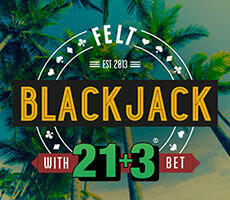 Lucky Streak offers various versions of Live Blackjack including Classic Blackjack, Perfect Pairs, Bet Behind and 21+3 side Bets. 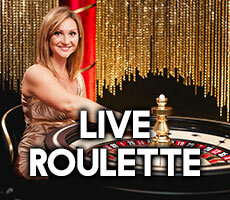 However, when it comes to Live Roulette, it doesn't deviate much from the original Roulette game. Live Baccarat, the famous Asian card game is also played in an enhanced form in Lucky Streak’s live casino suite which comes with a state-of-the-art interface and offers a lot of side bet options. Lucky Streak Dealers sure knows their job well. They keep the environment ‘live’ and conduct the games in a most professional manner. Their suite of games is compatible with all major mobile devices including iOS and Android devices. The company 100% privately held. It has a Curacao eGaming licence and hence are authorised to offer their gaming services to players across the globe. They are in the process to obtain UK License. Hopefully, this happens soon.